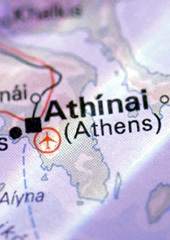 Is the public health situation in Greece a harbinger of what may happen in similarly distressed countries? A strong correlation has been found between job loss and clinical and subclinical depression, substance abuse, anxiety and antisocial behavior. By many accounts, Greece's public healthcare system is riddled with corruption and inefficiencies. The inability to pay high levels of personal debt may help explain the increase in the number of suicides. The deteriorating global economic outlook is increasing worries among health experts about the effects that the economic crises will have on people’s health. As the World Health Organization stated in 2009, “It is not yet clear what the current financial crisis will mean for low-income and emerging economies, but many predictions are highly pessimistic.